Martin Mayhew didn't have glowing credentials when he took over the Lions. This time of year, many of us experience the post-holiday blues. That’s never been a problem for me, maybe because I leave my Christmas lights up and on all year in my front window. I do this not so much because I yearn for the season, as much as it gives people great pause before they approach my front door. I do, however, experience the Honolulu Blues this time of year because I’m always left wondering why the Detroit Lions have once again failed miserably to accomplish anything of merit on the football field. Long ago, I detached myself emotionally from the team, but as the NFL playoffs begin, I can’t help but ask: Why can’t the Lions ever get it right? 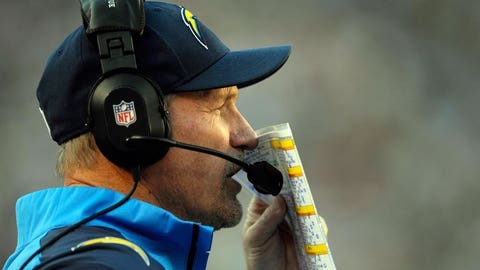 If the Lions want San Diego Chargers offensive coordinator Ken Whisenhunt as their next head coach, they'll have to wait at least another week. Certainly it comes down to management. The Lions have never had an accomplished general manager — someone with a proven track record of delivering championships at the NFL level. Russ Thomas, Chuck Schmidt, Matt Millen and now his protege, Martin Mayhew, didn’t have glowing credentials when they took over the Lions. In fact, their first job as a GM was in Detroit. That’s why when the Lions’ current brain trust of Mayhew and Tom Lewand held a press conference last week to announce yet another fired coach, they mentioned that the new coach had to change the Lions’ culture. My initial thought was, finally! And huh? Lewand has held virtually every front-office job other than GM for the Lions and has been employed by them for nearly 20 years. Mayhew was Millen’s first hire and has been around since 2001. Pardon me, but aren’t these two pretty much ingrained in the Lions’ culture? Look, all I have to go on is Detroit’s three other professional sports franchises, which have either won multiple championships or at least played for a title over the past decade. All three of them were turned around when ownership hired a GM from outside their organization, a GM who had a winning pedigree in his respective league. Jack McCloskey came to the Pistons from the Lakers, where he was an assistant coach under Jerry West. The year after he left for Detroit the Lakers won the NBA championship in 1980. The Lakers would be in the NBA Finals for five consecutive years, winning the championship three times in that span. "Trader Jack" made more than 30 trades and was the architect of the Bad Boys era. Before he was hired by the Tigers in 2002, Dave Dombrowski, as general manager, built the Montreal Expos and Florida Marlins into contending teams. He even won the World Series with the Marlins in 1997. In his late 20s, Dombrowski was the assistant GM of the Chicago White Sox. Jimmy Devellano worked his way up ladder with the New York Islanders. When he was hired as the Red Wings GM in 1982, he was the Islanders assistant GM and had three Stanley Cup rings. Devellano is the father of modern day Red Wings hockey. 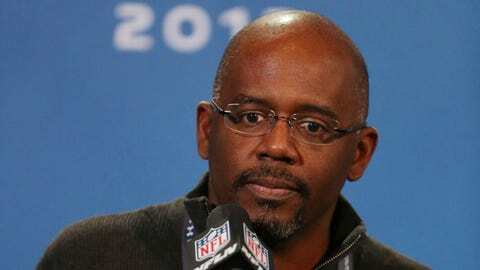 Without question, the Lions need a cultural housecleaning, but just changing the coach won’t be enough. William Clay Ford Jr. needs to find his NFL version of Alan Mulally. Until the Pistons, Red Wings, Tigers and Ford Motor Company hired proven talent from the outside and then gave them complete control, their product floundered. If the Lions continue with the philosophy of just changing the coach as being the elixir for this underwhelming franchise, then the Honolulu Blues will remain a staple of the post-holiday season.